Our mission: to encourage movement, nutrition, and mindfulness – in a way that is accessible, affordable, and approachable – as preventive care toward community wellness. 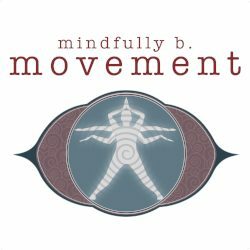 Mindfully B Movement was created to fuse movement and meditation with holistic and real nutrition. Each person is unique and the path to wellness should reflect that. We believe that a mindful and healthy lifestyle includes natural foods, functional strength and flexibility, and an engaged mind. Join us for a free trial class and stay in the loop for wellness workshops! Hi my name is Claudia Reyes and I am a Certified Zumba Fitness instructor since 2012. I love teaching the fun art of dancing different genres of music because dancing is happiness and you may not even know you are in a party while being in a Zumba class. I hope to see you in my class and together enjoy the concept of Zumba. You don’t need to know how to dance, just follow me and you will learn. Give yourself the opportunity of being more healthy and a happier person. Hola, mi nombre es Claudia Reyes y soy Instructora de Zumba Fitness desde el 2012.
inclusive ni te imaginas que mientras estas estas tomando la clase es como estar disfrutando una fiesta. Espero verte en mi clase y juntos disfrutar el concepto emocionante de Zumba! No necesitas saber bailar , simplemente sigueme y aprenderas. Regalate la oportunidad de estar mas saludable y ser una persona mas feliz !! !